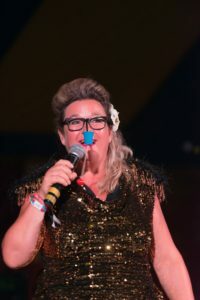 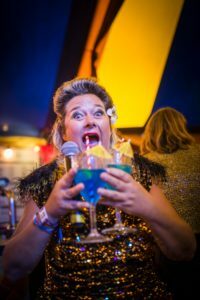 Warm and hilarous female MC has hosted – Edinburgh Fringe Cabaret, Bestival, Shambala, Komedia, pancake races, it’s a knockout days, fun day stages, talent shows and events large and small with equal success. 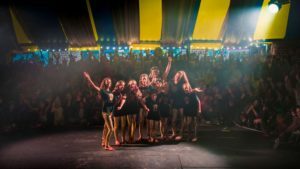 Experienced and comfortable on stage. 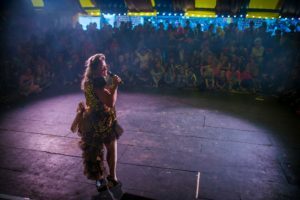 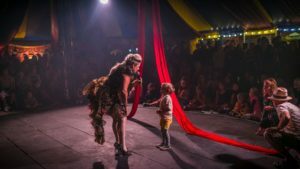 Has performed all over the world including 3 award nominated shows -Perth Fringe, The National Theatre, Cafe De Paris, Glastonbury, Shambala, The Social Club, Komedia, with Club Briefs, in cabaret too numerous to mention and on street corners all over the world. 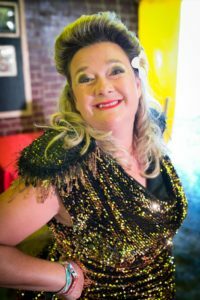 Goldie has been likened to Joan Simms from Carry On fame! 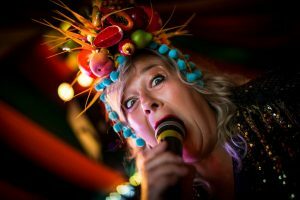 adult audiences and rowdy drunk audiences!